Energy Share administers two programs funded by Energy West and MDU for their customers who have unsafe furnaces or water heaters. We have the appliance examined and either repair it if possible, or replace it with an Energy Star appliance if necessary. 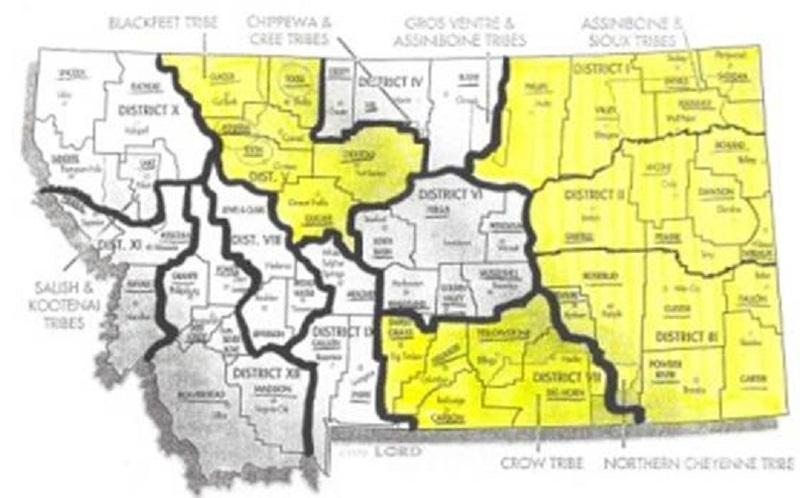 If you are a customer of either Energy West or Montana-Dakota Utilities, and you live in one of the counties shown below in yellow, you can contact the appropriate Human Resource Development Council (HRDC) on the list below the map to ask about applying for the Furnace and Water Heater Safety and Efficiency Program. Energy Share administers two programs funded by Energy West and MDU for their customers to maximize energy savings by performing cost-effective weatherization measures in the homes of those who qualify. 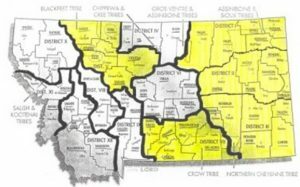 If you are a customer of either Energy West or Montana-Dakota Utilities, and you live in one of the counties shown below in yellow, you can contact the appropriate Human Resource Development Council (HRDC) on the list below the map to ask about applying for the Weatherization Program. For income-qualified senior citizens and disabled people who own their home, Energy Share may replace old, inefficient refrigerators with cost-effective new refrigerators. We may also replace water heaters in certain circumstances where no other program funding is available. If you are applying for Energy Share assistance please do NOT mail or fax your application to this address on Cooney Drive in Helena. That will only slow processing your application down. Click here to see where you need to send your completed application form.